Luggage system: BMW sidecases. 82 Liters. 300 km included per day. extra km € 0,30 per km. 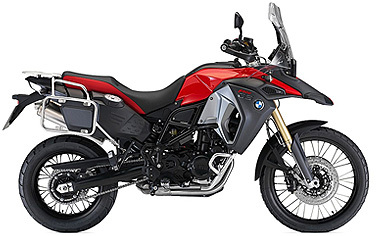 Our motorcycles are maintained at BMW service workshops and in perfect technical conditions. 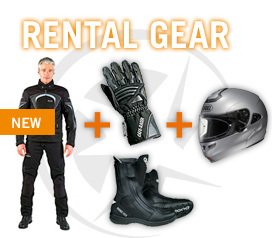 As Touratech test center we provide Touratech equipment in the area of transport and protector systems. 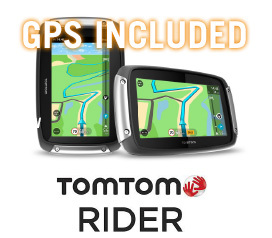 A TomTom RIDER 400 GPS device installed on your bike can be ordered for € 30,- for the entire rental. You can also bring your own GPS device and order only the mount on your bike at the rate of € 10,- for the entire rental period. The following mounts are available: TomTom Rider 400 Mount and Garmin 660 / BMW Navigator Mount. The deposit can be lowered to Euro 350,- with a VIP insurance of Euro 20,- per day. The deterrent fee for the collision coverage insurance can be paid in cash or by credit card ( Euro / Master Card, VISA ).